Schools will have received a letter from Ms Vanessa Peters, Manager – Data and Certification advising them of the Authority’s intention to undertake integrity checks of students’ VET achievements. 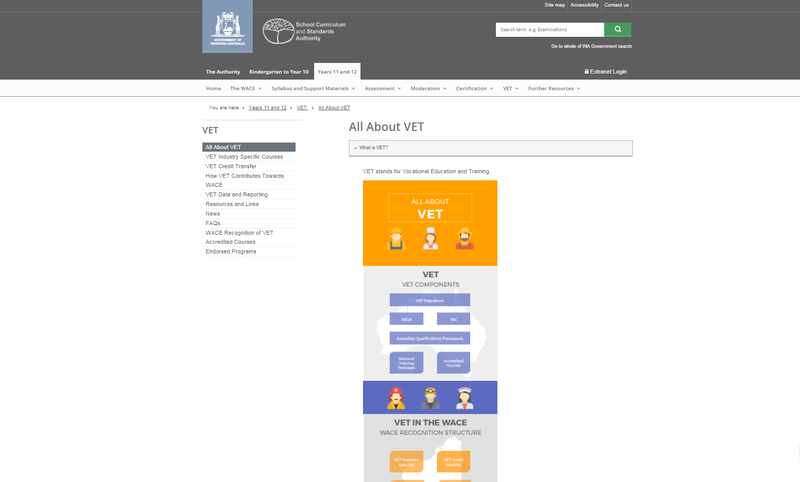 This is an opportunity for schools to discuss with the Registered Training Organisation (RTO) responsible for issuing the VET qualification the importance of ensuring the verification of 2018 VET achievements by the RTO is received by the school prior to any upload to SIRS to meet the Authority’s deadline of 1 November as per the 2018 Activities Schedule. https://www.scsa.wa.edu.au/__data/assets/pdf_file/0003/429285/2018-Activities-Schedule-February-update.pdf. The Bulk VET WACE Special Considerations process it not intended to be utilised for circumstances where there are delays in schools receiving verification of student VET achievements, therefore schools are encouraged to have a conversation with their RTO to ensure the Authority’s reporting deadlines can be met. If schools have concerns regarding verification of student VET achievements for 2018, please contact the Authority’s officers listed above. The 2018 VET Awards Nomination Kit and the 2018 VET Awards Brochure are now available. Information on the 2018 VET Awards is available on the Exhibitions and Awards page of the School Curriculum and Standards Authority website under Awards for outstanding achievement in VET. The nomination kit has been designed to assist schools through the various steps of the VET awards nomination process. The link to the Nomination Form will be available on the Authority website on Friday 29 June 2018. Nominations close on Monday 3 September 2018 at 4:30 pm. The Department of Training and Workforce Development, in collaboration with the WA Department of Education and the Training Accreditation Council, has developed an RTO auspicing tool. links to VET sector resources to help schools easily access this information and understand the sector’s requirements. Further information about the RTO auspicing research tool is available here. The VET Qualifications Register for the 2019 school year has been released. The VET qualifications register for secondary students provides industry advice for schools and RTOs on the suitability of qualifications for secondary students and delivery requirements to meet industry standards. The register aims to assist schools and RTOs to select qualifications that are more likely to be completed by secondary students or help them transition effectively to further training or employment. Please note that the register is of an advisory nature only and does not override or replace training package requirements. View the VET qualifications register for secondary students for the 2019 school year here. If you’ve ever wanted an overview of VET in an easy to follow format then check out the ‘All about VET’ infographic on our website. The graphic illustrates national VET components and how VET is recognised in the WACE in Western Australia. You can access the link to our website below. Just click on the ‘What is VET?’ heading. Less than one week left to nominate for the 2017 VET Awards! No late or proforma nominations will be accepted. Ensure that Workplace learning (ADWPL) and VET enrolments have been uploaded prior to the online nomination. Only eligible students will be displayed on the online VET nomination form. When scanning documents ensure that the file sizes are no more than 2 MB. Your nomination may not process if the file sizes are any bigger. Ensure that students will be available for interview during the week commencing 16 October. Please be aware that there is no opportunity to make any changes to the interview time offered to the student. To encourage students in applying for a VET award, share our VET Awards blog at https://www.scsa.wa.edu.au/publications/blog. Follow the links below to our brochures. A series of VET brochures have been developed by the School Curriculum and Standards to provide schools with additional resources in order for students make informed decisions about including VET as part of their secondary study options. The VET and the WACE brochure is a great resource if students have questions about how VET can contribute towards the WACE and the VET Awards for Outstanding Achievement brochure can be promoted to students who are undertaking VET and workplace learning in Year 12 in addition to exhibiting excellence in their chosen field. Additionally, schools may wish to refer to the Training Pathways brochure to assist with providing career advice to students on the post-secondary opportunities available through undertaking VET. These brochures and more can also be found on the All About VET page. It is important that students are given opportunities to gain credit for higher level VET qualifications under the appropriate conditions and which meet the needs, capabilities and aspirations of the student. An annual integrity check of higher level qualifications will be conducted based on perceived level of risk. Through this process, the School Curriculum and Standards Authority will collect information about relevant students and the context of delivery and assessment of these qualifications. A VET Certificate IV or higher program structure form has been made available to assist schools in providing this information. The information in the RSQUAL file is used to allocate unit equivalence towards the WACE and to determine whether a student has met the Certificate II or higher requirement. In addition the RSVET file is used to determine subsidiary rules associated with VET achievement by calculating total nominal hours. There are two WACE requirements relating to students completing 220 nominal hours of Vocational Education and Training (VET). One relates to the recognition of Certificate II qualifications and the other relates to the partial completion of a Certificate III or higher. 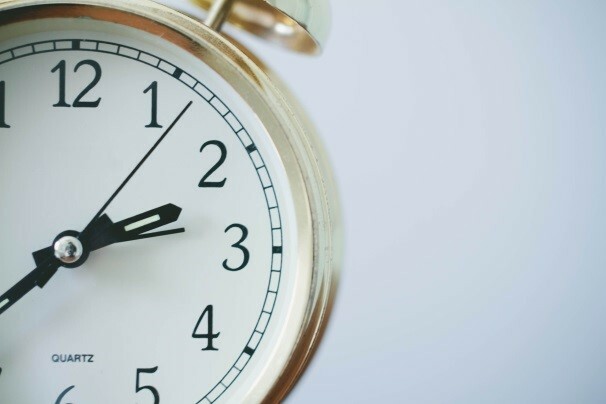 A reminder to schools about the nominal hour requirement for completed VET qualifications for students to be awarded the full allocation of unit equivalence in the WACE. Can this student drop a course in Year 12? Is this student on track for WACE? In the first instance please refer to these support materials prior to contacting the Authority. If you require further assistance, the Authority’s Certification and VET teams will use the scenario in the template format that you provide to address your query more efficiently and precisely. A revised list of endorsed programs is now available. The revised list of endorsed programs available to students in Years 10, 11 and 12 in 2017 is available now on the Authority website. The updated list can be found here under 2017 Endorsed program codes and achievement descriptors. Do your students have the Tools for Transitions? “The core problem from many young people is not a lack of skills, but a lack of understanding or capability to apply them in a new work context”. As part of the implementation of the Preparing Secondary Students for Work framework, Ithaca Group researched the non-technical capabilities required by young people to transition to further education and work. The School Curriculum and Standards Authority is now taking expressions of interest for the 2017 VET Awards Panel. The School Curriculum and Standards Authority would like to extend the opportunity for school representatives including teacher trainers, VET/WPL Coordinators who are interested in representing their systems/sector to nominate themselves as a 2017 VET awards panel member. No experience is necessary just a genuine interest in showcasing young people who have demonstrated excellence in their VET program. The Authority's VET awards are fundamental to the 2017 Beazley Medal: VET awards process. Students who were in Year 12 in 2016 and have since completed a VET qualification or who are not currently enrolled at a school or are returning to education and have completed a VET qualification since last being enrolled in secondary education can have their VET achievement added to their achievement record. In addition, if all WACE requirements are met, will be issued with a WACE.